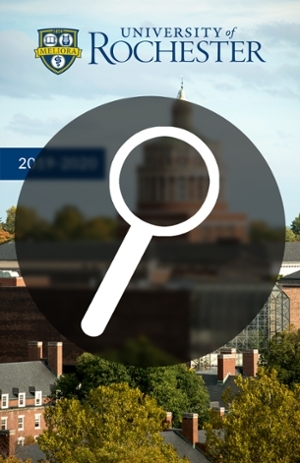 The University of Rochester is one of America’s leading private research universities. It consistently ranks among the top in federally financed science, engineering, and medical research. 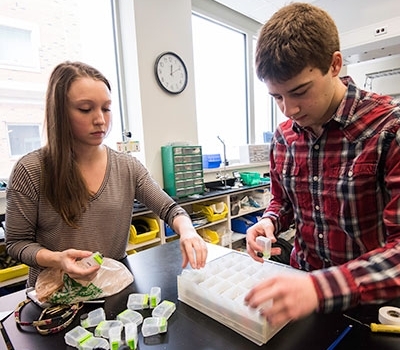 Along with this rigor, the University operates on a personal scale, creating exceptional opportunities for undergraduate research, close work with faculty, and interdisciplinary study. The unique Rochester Curriculum invites students to study what they love with focus and flexibility. Through individual and collaborative efforts, our students and faculty improve themselves, each other, and our shared learning environment in the process. See here for an exchange student brochure. 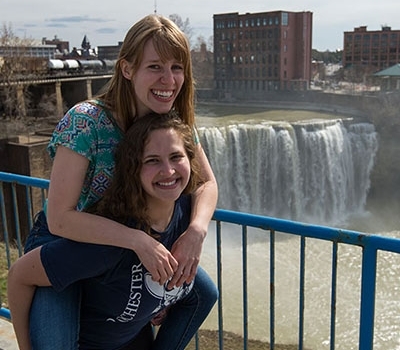 Encompassing the Genesee River and its six waterfalls, the city of Rochester is an urban setting with a relaxed suburban feel. Rochester has grown since 1840 as a corporate, tech, and college town whose warm and diverse residents are never bored. The city’s cultural and entertainment highlights include the Memorial Art Gallery, Kodak Hall, three professional sports venues, the National Museum of Play, and the George Eastman Museum, a photography museum that attracts scholars from all over the world. Residents have easy access to Lake Ontario beaches, Erie Canal recreation, and a vast greenbelt of gardens, parks, and summer festivals. Rochester fostered the motion picture film industry, abolition, and the women’s rights movement. The city’s economy features thousands of specialized, profitable firms in fields like optics, health equipment, and technology.